Want to link your Porkbun domain to your Tumblr? We can do that! 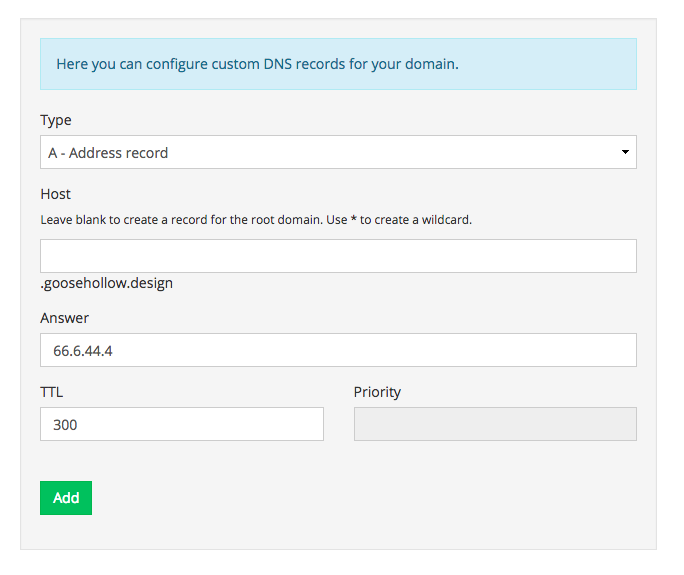 You will need to add an A record and a CNAME record for your domain to work. Let's start with your A record. 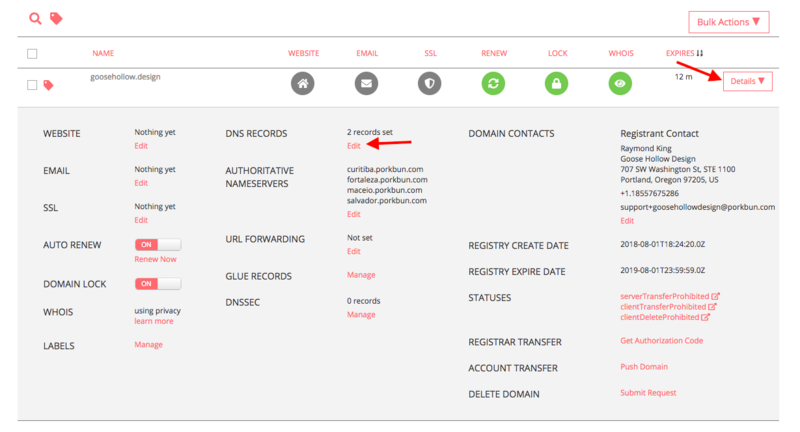 On the Manage DNS Records screen, scroll down and locate any A records that are currently pointing at the wrong web server. Click the trash can icons to the right of the bad records to remove them. Answer is set to "66.6.44.4"
Next, we will want to add the CNAME record. Here's how. Return to the Manage DNS Screen. 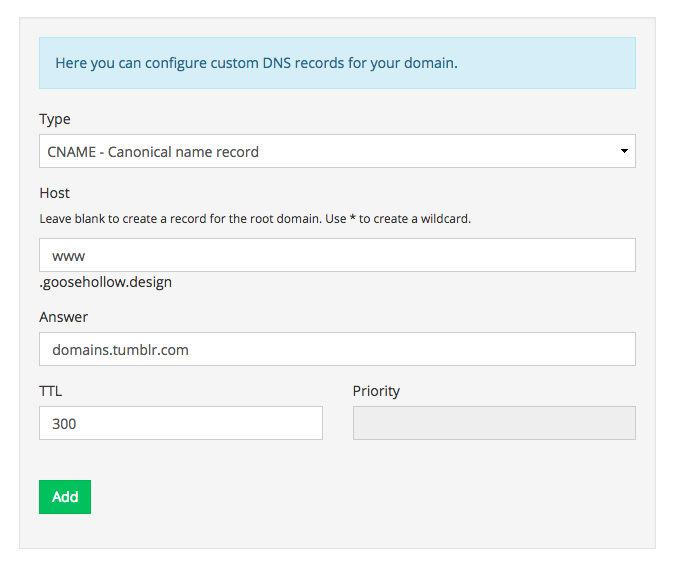 Type is set to "CNAME - Canonical name record"
Answer is set to "domains.tumblr.com"